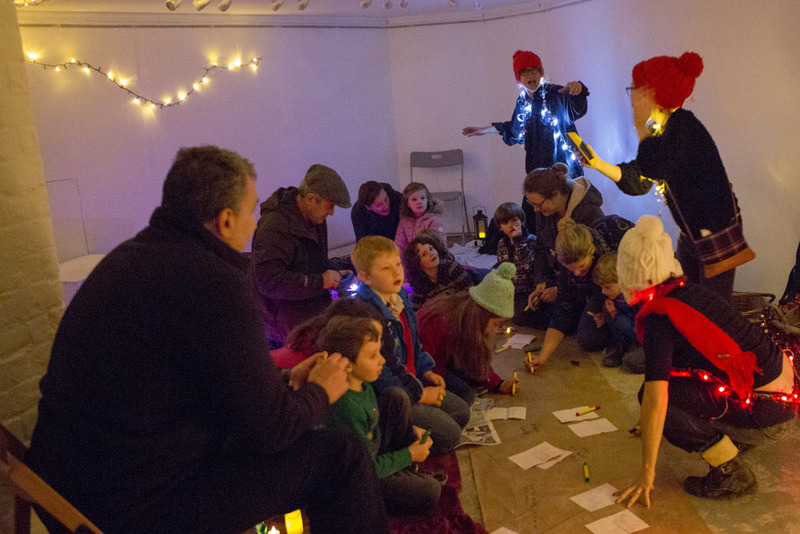 Light Maker's Workshop with amazing collaborating artist Flora Newbigin was a part of Folkestone Living Advent Calendar 2015 hosted by JimJam Arts. 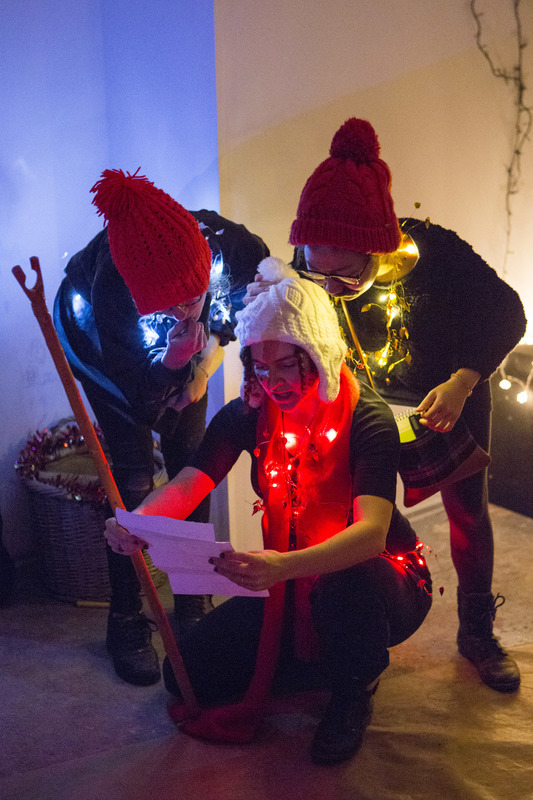 Throughout December, JimJam Arts transformed Folkestone into a living Advent Calendar with a different door opening each night to reveal a free Live Performance including music, dance, drama, puppetry and more with lots of fun for all ages! 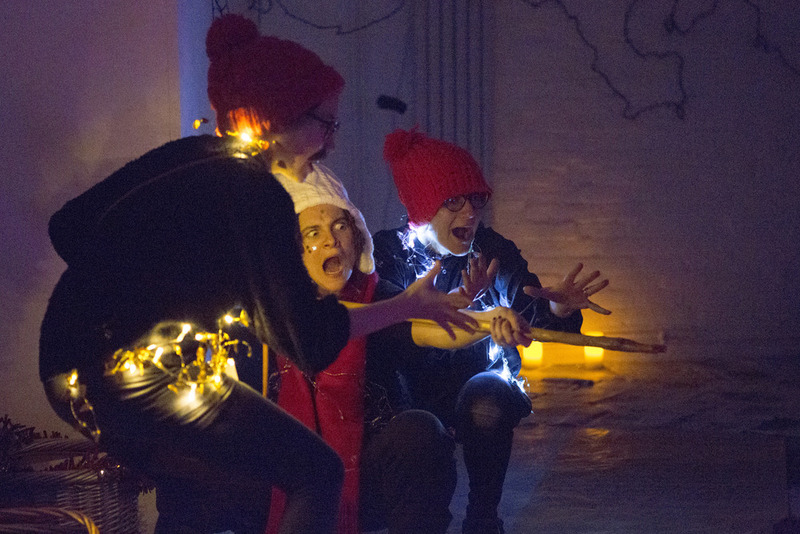 Blooming Ludus's Light Maker's Workshop brought the audience behind the 13th door located at Folkestone Trawlers. Film by Rebecca Elliott, Photo by JimJam Arts.